For those that grocery shop on the weekends, you probably stock up on fruits and veggies for the week. Berries are tough because they only have a couple days from when you bring them home, so I typically eat them right away and wish I had more by around Wednesday! Veggies are typically purchased for a side dish or snacking but after a few days they could look pretty sad and wilty. I experienced that this week...with asparagus. I bought it on Sunday and by Thursday, when I went to use it, it looked like it had seen better days. Instead of throwing it away I decided to revive it. Snip off the ends (about an inch) and place them in a glass of lukewarm water (like you would flowers) and place in the fridge. Within a few hours (or overnight) you'll notice the asparagus is plump and fresh once again! 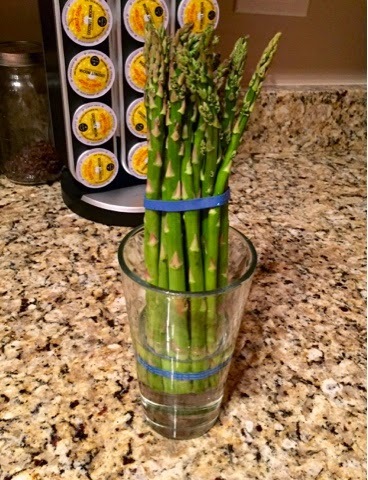 Remove the asparagus from the glass and wrap the ends in damp paper towel and plastic wrap. Seems magical but this works with a lot of produce. When coming up with my blog name I was utterly thoughtless. What will describe me, the blog content, and remain neutral in case I want to post about unrelated topics? Somehow cooking in pearls came to mind and although cheesy, it was extremely fitting. I went back and forth for awhile but ultimately it was the best choice. I've always worn pearls and love the costume jewelry look of gold and pearls together. I have quite a collection from over the years and a few staples that I wear on a daily basis. (Like my delicate single pearl necklace from Elisabeth Ashlie). As a Chef, looking fabulous isn't an option considering you wear unflattering clothes, hair back and constrained, and stud earrings are about all you can sport. (Those checkered pants were rough!) Wearing pearl studs are about as glitzy as it comes when you work in a kitchen and it makes me feel a little bit more feminine. Cooking in my own kitchen is way more relaxed and I can let my hair down and just cook. 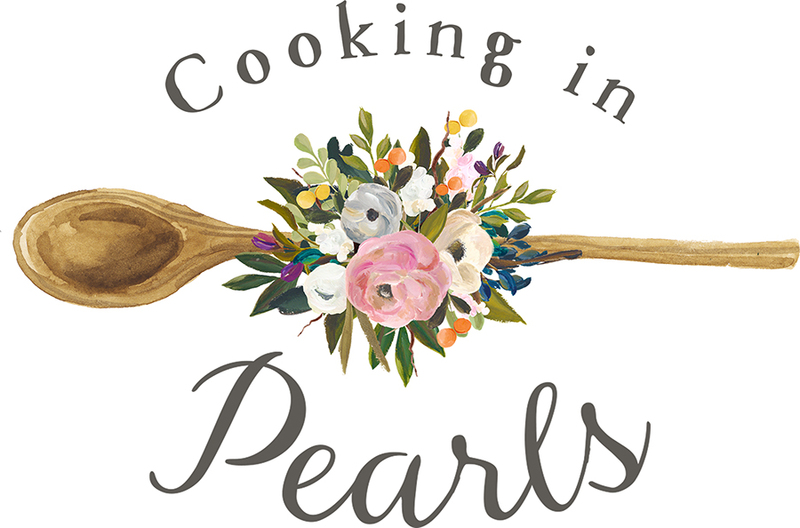 No matter where you'll find me cooking, I can pretty much guarantee you, I'll be wearing my pearls! To my new followers, I have some exciting things in store for you and I'm so excited to share!! As I mentioned last week, I'm determined to stick to a whole30 or paleo diet. Of course there's a meal here and there when I slip but I'm limiting those cheat meals. 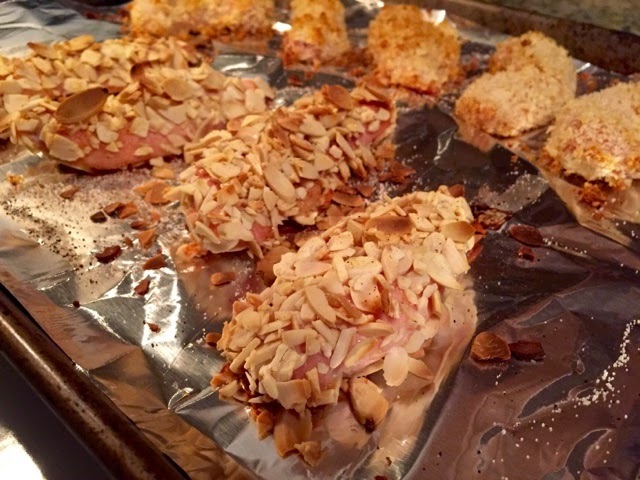 Yesterday I made almond crusted chicken tenders and served them in a yummy refreshing salad. I need to tweak this clean breading system as I really had to press the almonds in but they were still pretty darn tasty! I also made some regular tenders breaded in Panko for my guy which he drowned in buffalo sauce. (Nothing surprising there). 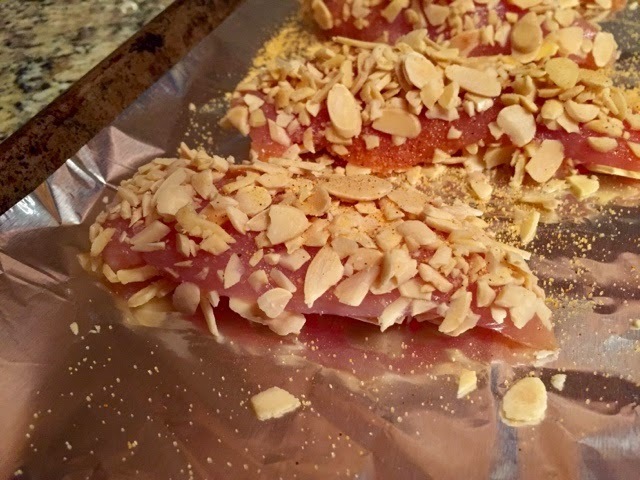 Lay the chicken tenders on a foil-lined baking sheet and season with whatever spices you like (I used seasoning salt) and bake for 20-25 minutes or until the chicken is cooked through and the coating is golden brown. 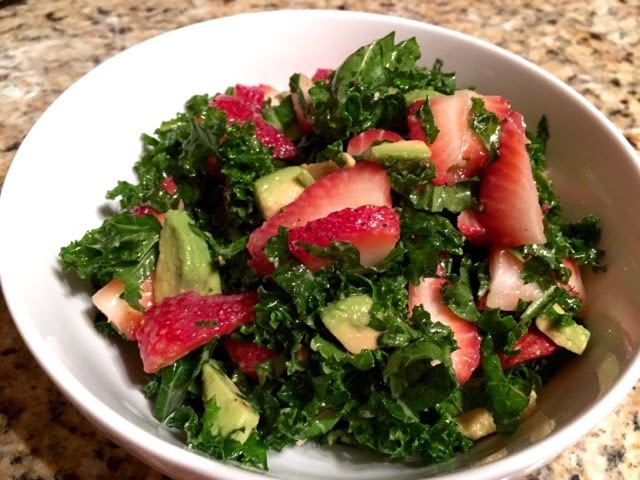 Meanwhile, I shredded some kale and tossed it with lemon garlic vinaigrette, sliced strawberries, and an avocado. 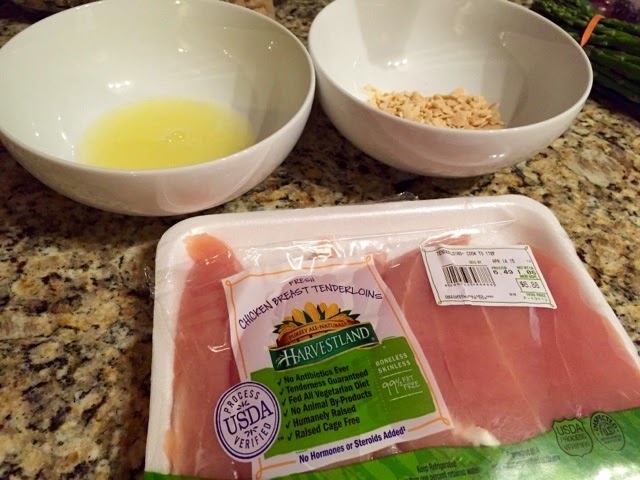 Top the salad with sliced chicken tenders and add some red pepper flakes for a kick. This will definitely be in my rotation for the next few weeks! Shocking news-I didn't stick with my New Year's resolution. I started off so strong and quickly fell off the healthy wagon. Sound familiar? Last Monday I started a Whole30 challenge and menu planned for a successful week. The very next day a friend asked to grab drinks after work...and so, I failed my Whole30 just 1 day in. Wah wah. I got back on track until Easter Sunday hit. Here's what I've learned; don't beat yourself up. There's never a perfect time to start a new diet or lifestyle change and there will always be roadblocks or unforeseen challenges along the way. Which is why I'm doing a modified Whole30. I try my best to follow the guidelines but in the nature of my day job, I have to taste what I'm cooking. A bite here and there won't kill me but I'm eating more consciously and stopped grazing all day. I arm myself with a bag of cashews in my purse or apple for the road to prepare for the "snack attack". 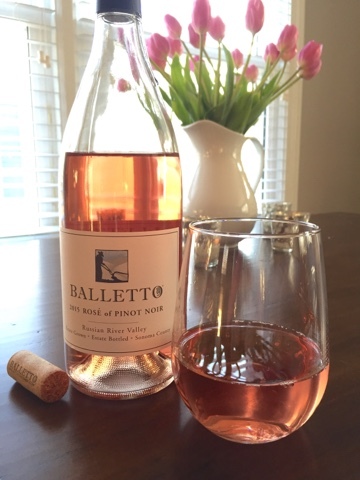 One of the biggest challenges I've faced is kissing my vino goodbye (just during the week). It actually hasn't been as painful as I expected! 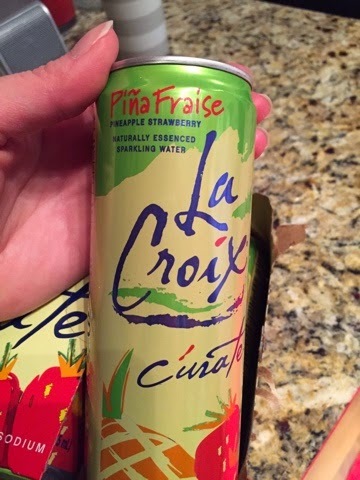 Maybe because I started working out after work or maybe because I have a vino replacement...this amazing new LaCroix flavor. It's something I save for the evening and look forward to. If the opportunity arises to grab a drink with a girlfriend or your fiance pours you a glass after a stressful day of work...don't stress out. Savor every sip and let that be your "cheat" for the day. No need to think, "well now that I ruined my diet I might as well eat everything in sight". I have definitely used that excuse more than I care to share. 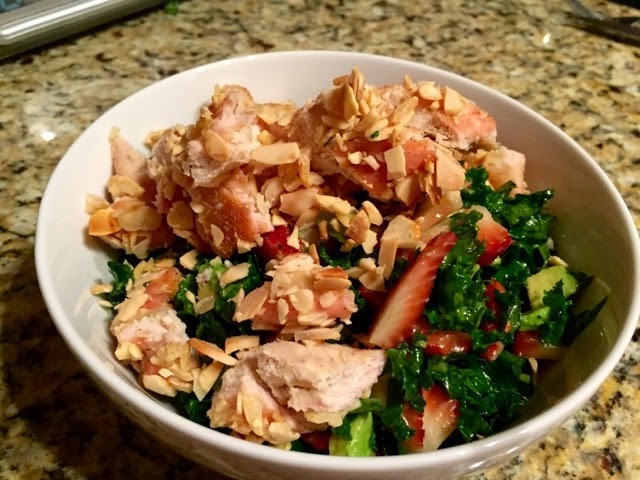 For the next few weeks be looking forward to some lighter recipes or meal ideas that is Whole30 or paleo compliant. After all, summer is quickly approaching and we all know what that means! 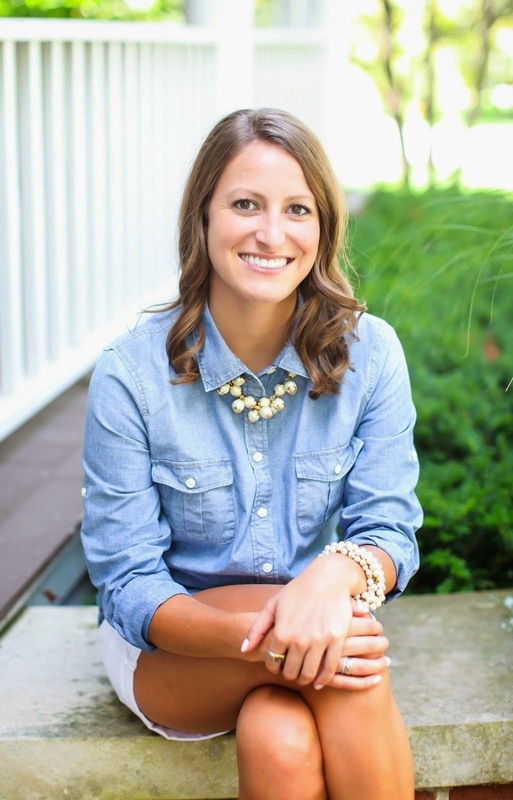 Bathing suit season and my wedding.